How many of you remember Twisted Sister? "I Wanna Rock"? Metal meets Animal House meets Warner Brothers cartoons? If you remember them, you remember lead man Dee Snider, especially him testifying to congress besides Frank Zappa and John Denver against record labeling. You might remember Eddie Ojeda's pre-Wylde bullseye superstrat. And, if you really liked them, you'll remember Jay Jay French, who played a pink-to-red sunburst Les Paul. The February issue of Premier Guitar has an interview with French. His daughter, it turns out, has uvelitis, which is the leading cause of blindness for American girls. 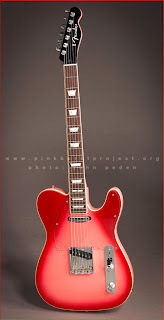 The funding and awareness for this condition isn't near the levels of other illnesses, so French convinced guitar and amplifier makers like Fender, Gibson, PRS, Martin, Gretsch, Marshall, Vox, Mesa/Boogie and others to make 25 pinkburst guitars and amps to be auctioned off as a fundraiser for MERSI, the specialists in the field. 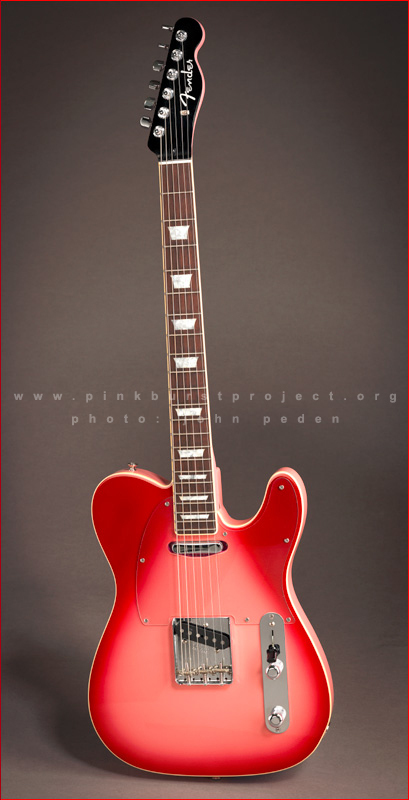 It's called the Pinkburst Project, and images of the instruments, along with more information of the disease and the auction.